Although a half-century-plus New Jerseyite, Raymond J. "Ray-Jay" McCaffrey was born on Diamond Street in Greenpoint, Brooklyn, New York on the 20th of February in 1932! Mr. McCaffrey served in the United States military in the Army during the Korean War. Civilian Ray moved to Morris County in New Jersey in 1957. So, like the original Frankie Valli (also from N.J.) song goes, Ray-Jay is a "Native New Yorker"! It was during one of Ray's many trips from NJ-to-NY's "...free-thinking, artistic and exciting Greenwich Village" that Ray-Jay "....happened to stumble that warm Friday evening on the first night of the 1969 Stonewall Rebellion"! 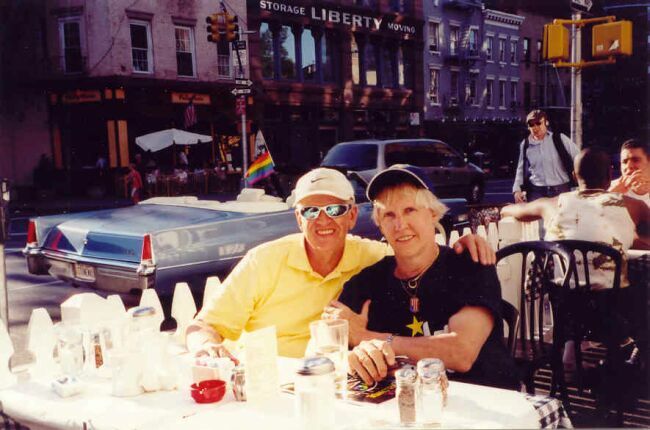 Ever since, Ray has always been a wonderful, generous and dedicated organization person as proven longtime not only to the legendary STONEWALL Veterans' Association but with its sister group, the acclaimed Imperial QUEENS & Kings of Greater New York. Ray-Jay has been an elected and popular officer of both the S.V.A. and the IQKNY!! Both groups have been widely praised by the most prominent public officials and organizations in both of Ray-Jay's states of record: New York and New Jersey!! After one of the G.L.B.T. 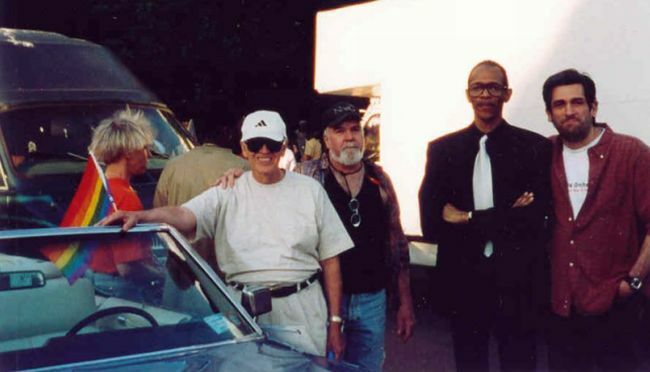 Pride Parades (Queens), Ray McCaffrey (left) and pal Willson Henderson, S.V.A. director, enjoy outdoor cocktails and supper with other SVA-ers at one of their favorite restaurants, the Hudson Corner Cafe. You can't miss the phenomenal "Stonewall Car" bigger than life in broad daylight -- with one of the rare pix showing the glowing 1969 Cadillac "lantern" tail lamps. Smilin' Ray McCaffrey, S.V.A. 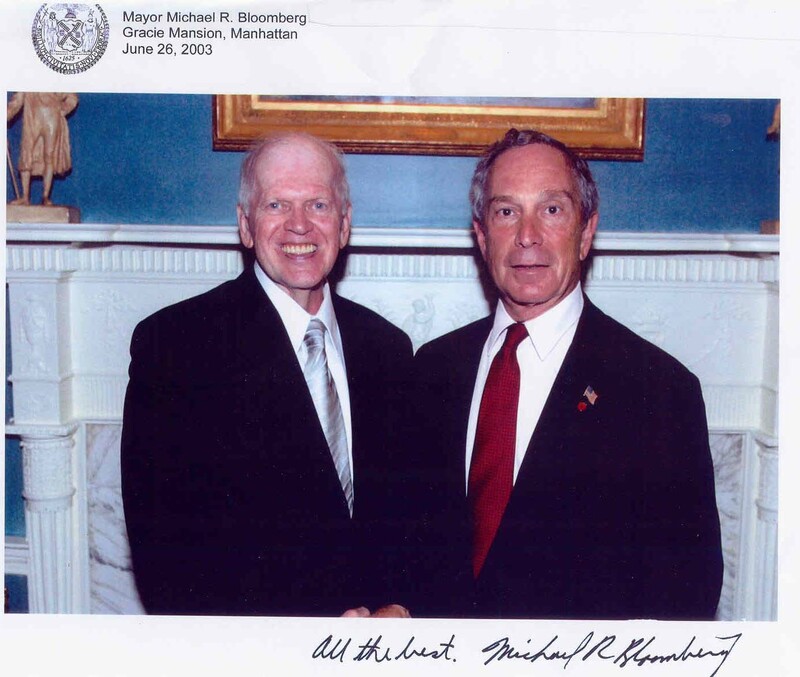 Financial Secretary, with New York City's Mayor Michael Bloomberg at his second annual G.L.B.T. Pride celebration at Gracie Mansion in Manhattan, New York, on Thursday, June 26, 2003. All of the S.V.A. officials and officers in good standing are invited every year to this impressive event, as has been the respectful tradition through several mayors. 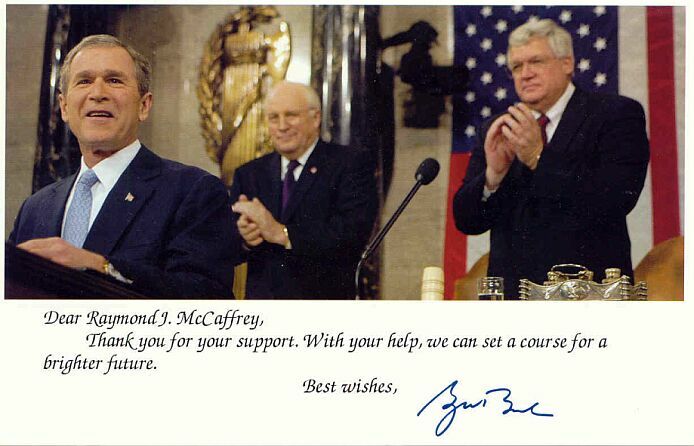 Best Wishes to Raymond J. McCaffrey from President George W. Bush, Jr.
Wanna actually hear Ray? Visit: www.NPR.org. Story title appears: "Stonewall Anniversary Unites Police, Patrons"
Click on "Listen" button (circled in red) to hear a clip of the interesting interview by Margot Adler with Ray McCaffrey -- and Willson Henderson and Bill Salzman -- of the National STONEWALL Veterans Association in the U.S.A. Transition Notice for R.J.M. Appeared in "City And State New York"
STONEWALL Veterans Association, died peacefully at his home on Monday, April 8th, 2019.